The confirmation widget having a problem again. I checked your widget's settings and it seems that the problem is because you have set it to US only. 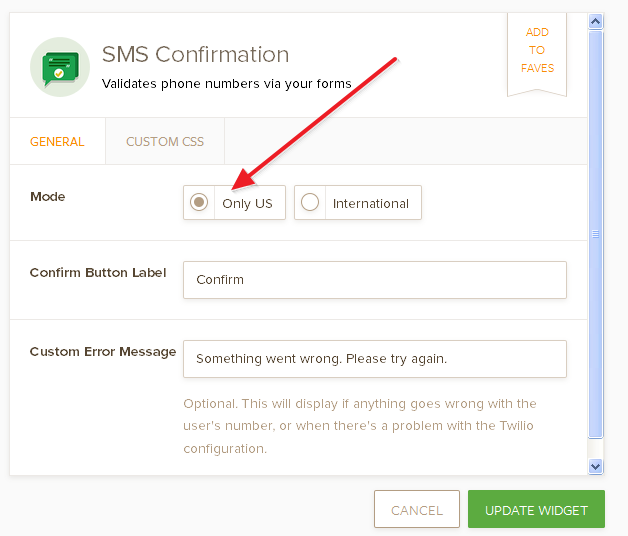 Which means it will only send to US-based mobile numbers. Can you try to setup again to international and see if it works? I am experiencing the same issue with US only as well, I have also opened up a private ticket in regards to this as well. If you have followup questions, please reply from that thread, thanks. May I know when this widget can be solve? Cause my operation team is depending on the widget. We were hoping to get a reply from you in order to check whether this is a settings issue or a bug in the system. Anyhow, a ticket has been raised on the thread by grbroker. Unfortunately we do not have a time frame to when this issue shall be resolved. However as soon as we do have information from the development team, we'll let you know. I still can't use the widget. any update? I'm sorry, but we don't have an update yet on the report. It is already assigned to our developer with a high priority. If there are updates, we'll make sure to let you know here. 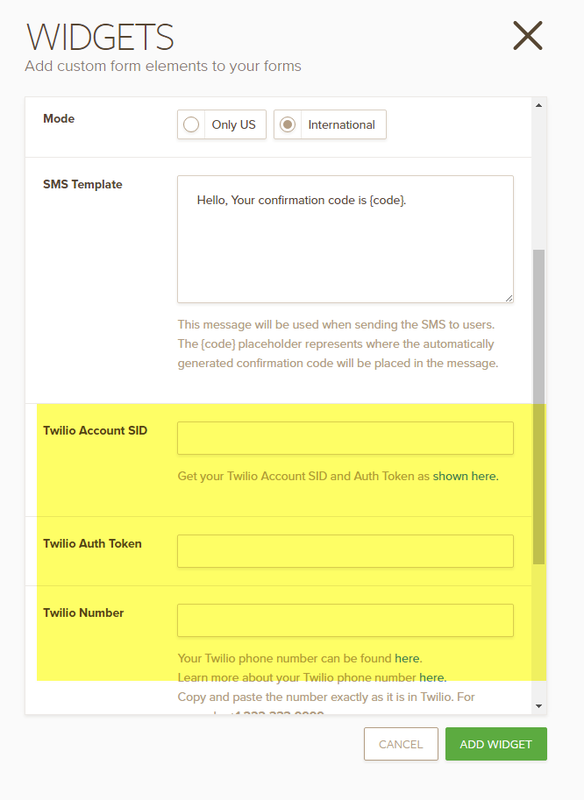 Using "International" - "Malaysia" then key in my twilio auth token. still display the same result. Our apologies. I think we should wait for our developers to give us an update about the problem in the widget. Until then, I don't think the widget will really work.